Happy 2017 everyone! The big question I always wonder during the first week of a new year is (a) when will I remember to write 2017 on checks and letters? and (b) where did the prior year go?! This year I also wondered what everyone was interested in when they came to my blog? 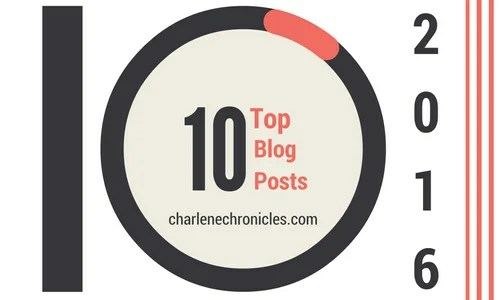 So I decided to do some sleuthing and figure out what were the top ten most popular blog posts of last year. Turns out, a lot of people were super interested in my love for fashion. Readers wanted to know more about Hermes and came to learn more about Hermes Birkin sizes and the differences between a Hermes Birkin and a Kelly. Others were interested in my comparison posts, like the Cartier Love or Juste Un Clou showdown. Most just landed on my home page to get all content at a glance! Despite writing a lot of toy review posts, only one toy post made it to the Top 10 list, but it was my most popular post of the entire year: the Leapfrog Epic vs. Platinum. The other posts that rounded out the top 10 list fell into the health category. What I was most surprised about my top 10 list is that none of my Disney posts made it in the list. I suppose it is because there are a lot of Disney fans (and blogs) out there! What have learned is that I need to spend more time on my luxury fashion interests, and that the most popular posts, regardless of genre, are ones that I write comparisons between two products. I love that research in my own life, so looks like I will try to put more in writing in the year ahead! All in all, regardless of which post, many thanks to all of you for visiting my blog in 2016 and hope to see you again in 2017! Thanks for staying and reading my blog post! If you are new to Charlene Chronicles, I would love for you to subscribe to my email updates so we can chronicle luxurious things together! When you subscribe, you'll receive five outfit ideas that are marvelously mom-friendly! As a Boston Mom Blogger in Massachusetts, Charlene DeLoach doesn't care about the megapixels on a smartphone. She only cares about whether it will survive being in the hands of her kids.